To have a sauna bath is a traditional Finnish way of cleansing yourself and relaxing. Some enjoy a very hot steam where others want a milder and smoother sauna experience. 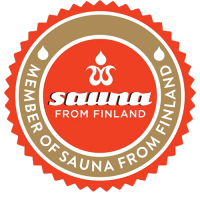 With the Saunaspirit you are able to create just the kind of steam and sauna experience that suits you. When you throw water straight on to the sauna stones the water vaporizes very quickly and might feel harsh on the skin. 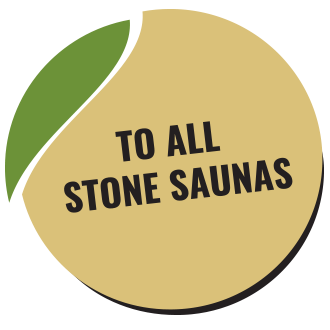 Our patented product takes the water in to the center of the sauna stones and vaporizes slowly making the steam richer and milder to the skin. The steam lasts longer and makes the sauna feel moist. Our product is suited for almost all kinds of sauna stoves and does not exclude ”normal” usage. Even a old sauna stove can get a new life affordably. The Saunaspirit can ease sauna bathing for small children and those who do not handle high temperatures well. Did you know there is health benefits to sauna bathing. Sauna bathing can improve your sleep and make it easier to fall asleep. Sauna bathing cleanses and remoisturizes your skin and is beneficial for those with allergies (dry and atopic skin, psoriasis, and inflamed sebaceous glands). Sauna bathing is also known to ease sore muscles and relieve jointpain. Remember to drink water after the sauna to stay hydrated.